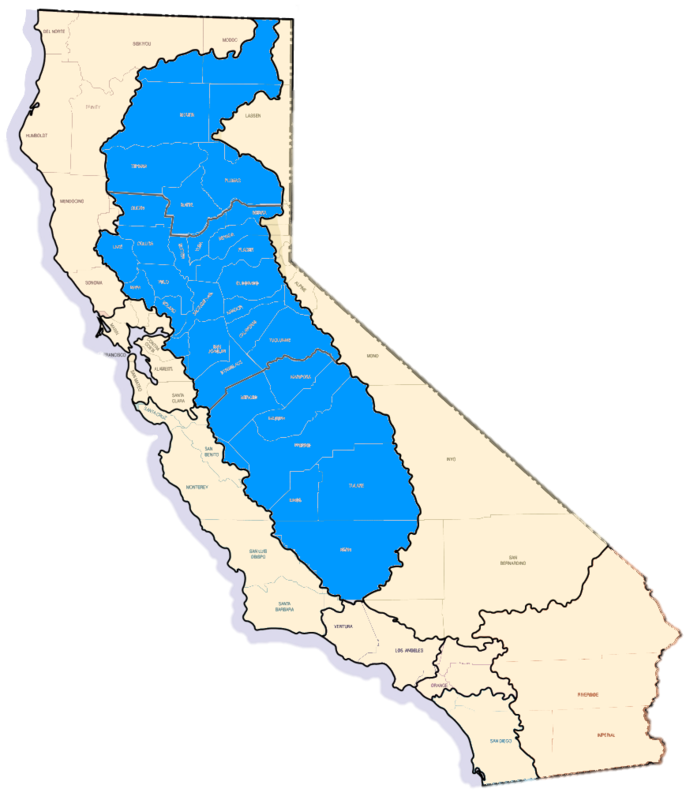 Information about who the Central Valley Regional Water Quality Control Board (Central Valley Water Board) is and what the Irrigated Lands Regulatory Program (ILRP) within the Central Valley Water Board is all about. The Central Valley Regional Water Quality Control Board (Central Valley Water Board) has adopted waste discharge requirements (WDRs) for discharges from irrigated lands to protect both surface water and groundwater throughout the Central Valley. The Irrigated Lands Regulatory Program (ILRP) regulates such discharges located within the jurisdiction of the Central Valley Water Board, which extends from the Oregon border south to the northernmost tip of Los Angeles County (Region 5). The adopted WDRs are the product of four years of dialogue among a variety of interested parties, as well as public input received at numerous stakeholder and Central Valley Water Board meetings. All commercial irrigated lands, including nurseries and managed wetlands, are required to obtain regulatory coverage. Regulatory coverage is not required if a property is not used for commercial purposes, is not irrigated (dryland farmed), or if commercial irrigated lands are covered under another program (i.e., Dairy, Poultry, or Bovine). Options for regulatory coverage include joining a Third-Party (coalition) group or obtaining Individual Regulatory Coverage. The coalition groups work directly with their members to assist in complying with requirements by conducting water quality monitoring, and preparing and filing regional plans and reports to address water quality problems. Whereas growers who choose to obtain Individual Regulatory Coverage take it upon themselves to conduct their own monitoring and reporting, and work directly with the Central Valley Water Board to address water quality problems. Failure to obtain regulatory coverage may result in the Central Valley Water Board assessing an administrative civil liability against you. Administrative civil liability can run as high as $1,000 per day for every day of violation. Irrigated Lands staff is available to assist you in obtaining the proper regulatory coverage. You can contact Irrigated Lands staff by e-mail at irrlands@waterboards.ca.gov, or by phone at (916) 464-4611. Interested persons who meet with board members must publicly disclose ex parte communication regarding General Waste Discharge Requirements proceedings.